This 15-lesson self-guided study leads you through the lives of women in the Bible who, despite living in different times and cultures, faced many of the same life-changing decisions that we do today. Inductive study questions encourage both individuals and groups to dive deep into the Word. 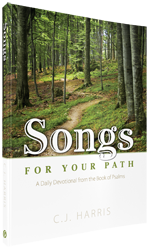 Songs for Your Path guides you on a 180-day devotional journey through the Book of Psalms. You will see the stark contrast between God’s way—the path of righteousness—and the way of the wicked. Through it all your eyes will be pointed again and again to the God of your path and the glory of His majesty. This study has one purpose—to encourage your students to know their God. Although we have done a complete revision of this study, we worked hard to preserve the original framework—so teachers familiar with this study should be able to present the content much like they always have. One of our most popular studies from the past, Frank Hamrick’s The Apostles has been updated and expanded for a new generation of believers. The study surveys the lives and lessons from Christ’s twelve followers and includes a new chapter on the Apostle Paul. Use these picture cards to illustrate God’s loving works. These large (12x15.5") full-color images are double-sided and printed on heavy weight paper that’s coated for durability. The full pack includes 60 cards and corresponding Bible stories may be found in the Exploring God’s Love Teacher's Manual. If you would like the stories included on the illustrations, check out our Story Cards which have the text of the corresponding stories on the back. God graciously used Martin Luther to spark the Reformation, and to this day, his life challenges believers to rely fully on the Word of God. 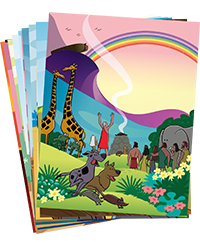 Bible Visuals International has produced this all new, one- or two-session story that gives children an overview of Luther’s life and challenges them to trust God. John Newton experienced God’s grace through rebellion, rejection, and, eventually, repentance. This five-chapter, visualized biography follows his journey from boyhood to preacher of the gospel and includes 40 full-color illustrations along with student activities and a memory verse. Inspire your students with the story of Jim and Elisabeth Elliot, missionaries to Ecuador. Despite difficulties and even death, God worked through the Elliots and their co-workers to bring the gospel to the Aucas. As always, we are on to the next projects and will keep you updated here or on our social media platforms. Be sure to follow us, or sign up for the occasional email update. Praying that these studies will help you magnify God.